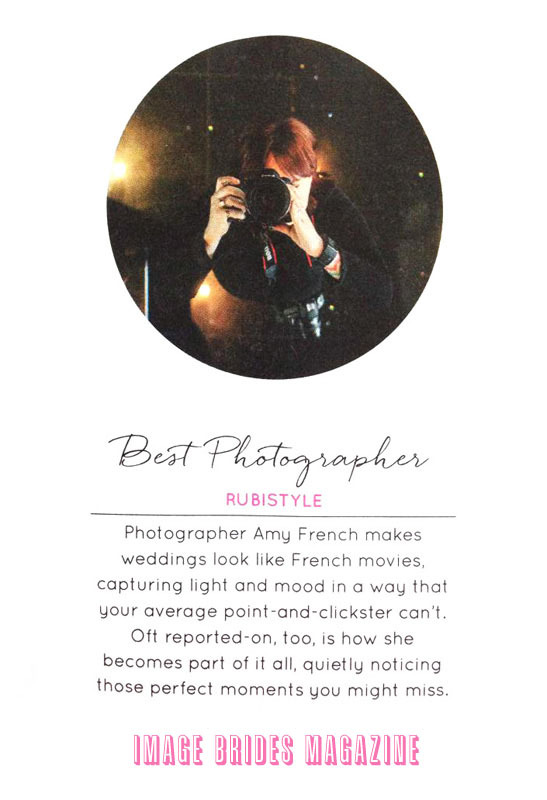 "AMY FRENCH MAKES WEDDINGS LOOK LIKE FRENCH MOVIES, CAPTURING LIGHT AND MOOD IN A WAY THAT YOUR AVERAGE POINT-AND-CLICKSTER CAN'T." Every wedding is unique to me and I always arrive with an open mind and a creative eye, ready to capture your wedding day as it unfolds before me. I live in a tiny cottage by a lake in Westmeath, in the midlands of Ireland with my cats and rescue whippet, Gallifrey. I have a beautiful buckskin Quarter Horse in the field and would have more if I had the space. I am an animal lover at heart and love including my couples' pets into their wedding and engagement photos. I have been shooting weddings since 2009 and they have been my full time passion since 2012. As a photographer, my main aim is to be as unobtrusive as possible. Ultimately, I am aware that your wedding day is just that; it’s a wedding, not a photo shoot, but I do make the most of the time we do have together to create some magic and make some art for your walls. If you aren't into posing but don't want to compromise on amazing wedidng images then I may just be the photographer for you. My style is very laid back and stress-free. I was delighted to be voted "BEST WEDDING PHOTOGRAPHER IN IRELAND" by IMAGE BRIDES MAGAZINE readers in 2014 and in 2016 I was named "ONE OF THE 10 COOLEST WEDDING PHOTOGRAPHERS IN IRELAND RIGHT NOW" by LOVIN DUBLIN. I am available for weddings nationwide and internationally. Please get in touch if you think I could tell your wedding story. 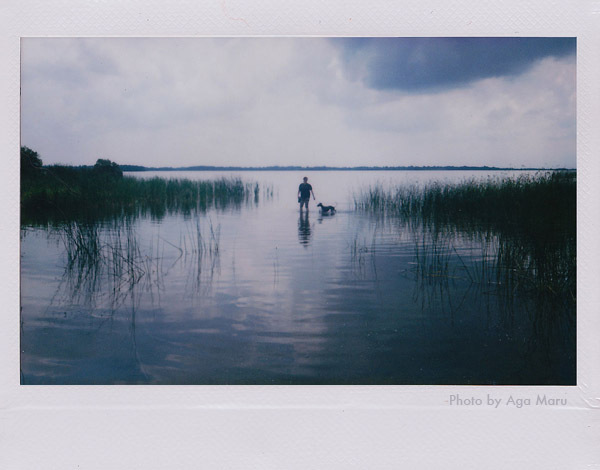 "OFT REPORTED-ON, TOO, IS HOW SHE BECOMES A PART OF IT ALL, QUIETLY NOTICING THOSE PERFECT MOMENTS YOU MIGHT MISS."